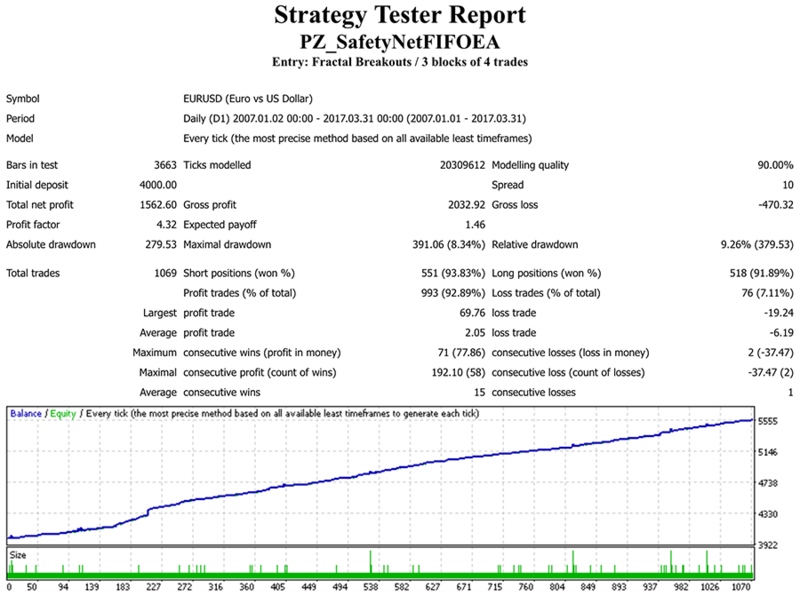 This EA will recover your losing trades and turn them into winners using directional averaging. It provides several automated entry strategies, but should not be used as a set-and-forget EA. 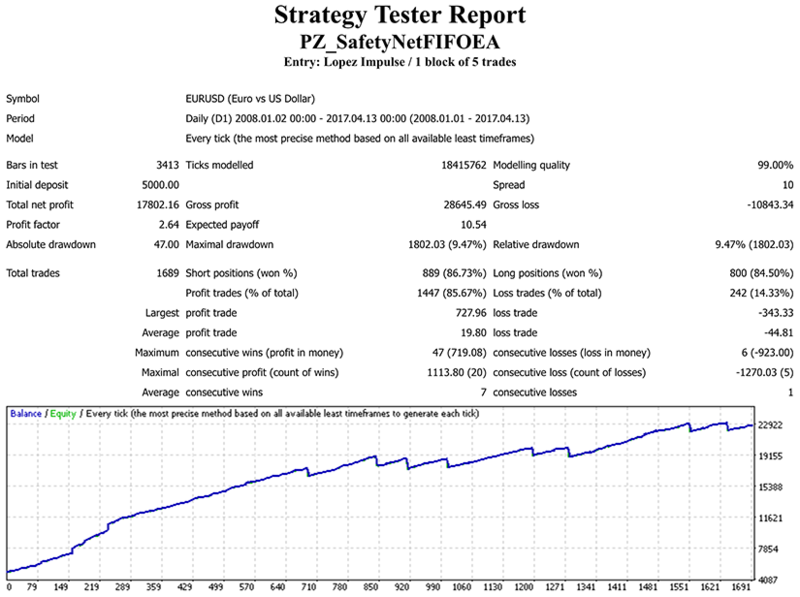 This EA turns your losing trades into winners using averaging. 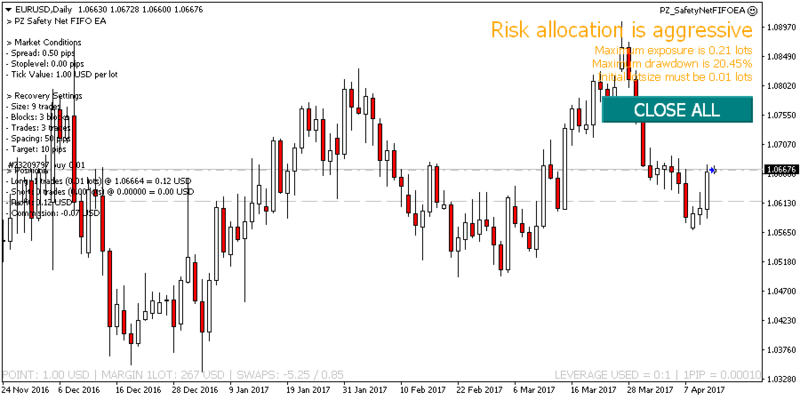 Once your initial trade moves into negative territory, the recovery mechanism will kick in and place consecutive market orders in the same direction at fixed price intervals, all of which will be closed with a combined profit or approximately breakeven. This mechanism is compatible with NFA/FIFO rules and accepted by US Brokers. The averaging process is fully customizable, spacing and lot-sizes can be increased from one block of trades to the next. The recovery will succeed in most cases and fail in a minority of cases. A strong trend against your trade will cause the EA to take losses. The EA implements a set of automated entry strategies to provide some degree of automation. Not all entry strategies will greatly perform in all market conditions, but you can switch between them as you see fit. Options are: CCI, ADX, RSI, Bollinger Bands, AC, AO, Alligator, MACD, PSAR, RVI, Stochastic, Heiken Ashi, Turtle Trading, Breakouts, Buy Constantly and Sell Constantly. 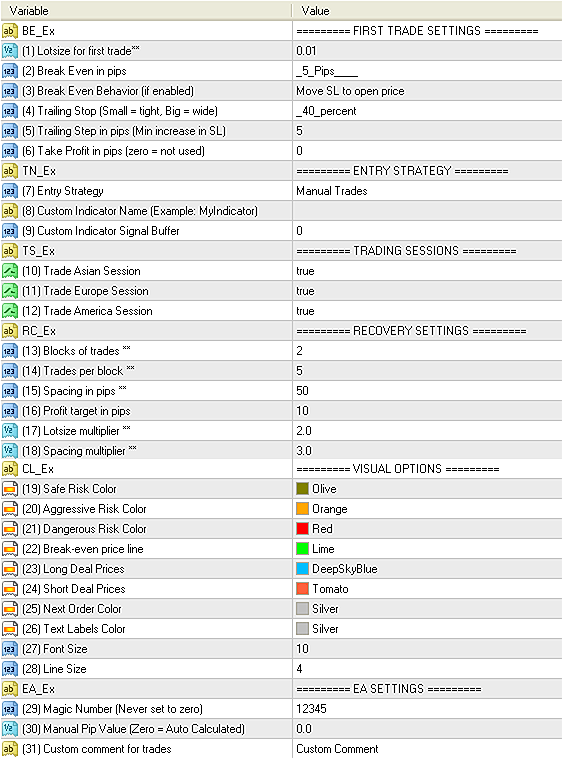 Amount of blocks of trades to place during the recovery process. When a trade block ends, the lot size and spacing are incremented using the multipliers specified below. Amount of trades for each block. Each trade is separated from each other using the Spacing. Distance in pips between trades of the same block. 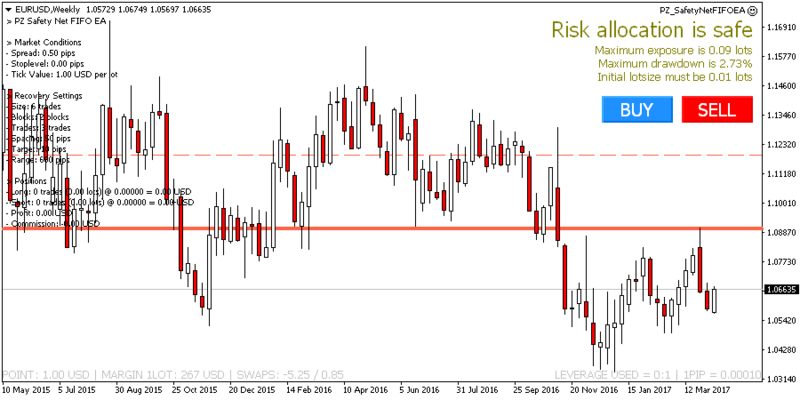 Profit target in pips for the recovery process. When the target is met, all trades are closed at the same time, at a net profit. Lotsize multiplier from one block to another block. Spacing multiplier from one block to another block. Yes, it is. It can be traded with US Brokers. No, you can't, because it would be compliant with NFA/FIFO rules. It is not recommended. It is best to leave the EA do its job. No, it will manage only manually started trades. No, you can't. 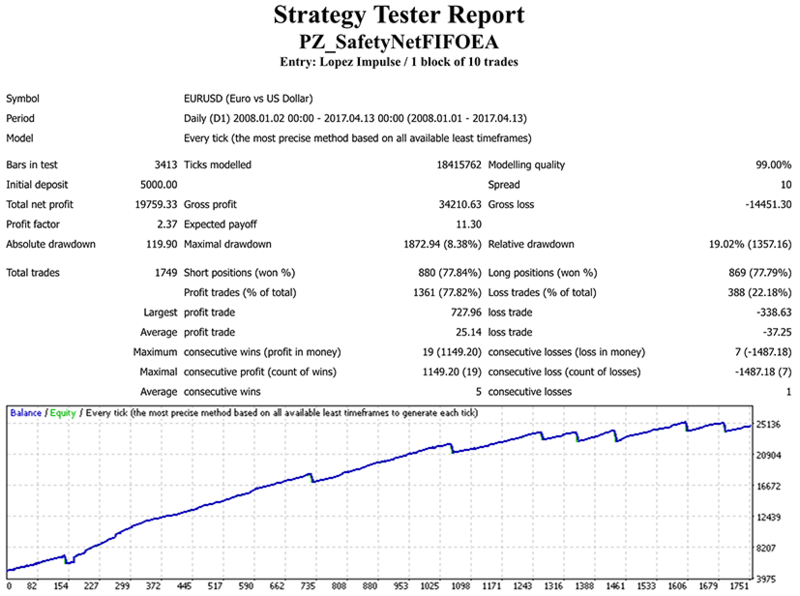 Please trade without stoploss or takeprofit. The EA will handle those for you.